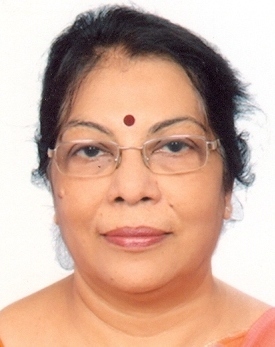 Anuradha Khanna, Professor and Head of the department Obstetrics & Gynecology, Banaras Hindu University and also the President for obstetrics & Gynecology society, Varanasi. She was honored with DJ Mukherjee award of Indian Medical association, 1977. International Who’s who of Twentieth Century Achievement. From May 1985 to July 1985 she was associated with University of Wales, London. In 1995 she visited the Michael Jackson Memorial Hospital, Florida, USA. Anuradha Khanna is a member in Indian Medical Association in 1980. In 1994 she received UICC, International Cancer Technology Transfer Fellowship and also WHO Fellowship, 1995. 1) Early detection and treatment of gynecological cancers. 2) Treatment of infertile couple.